The Impact Centre at the University of Toronto has released its Narwhal List for 2019, a report that highlights Canada’s fastest scaling private tech companies. 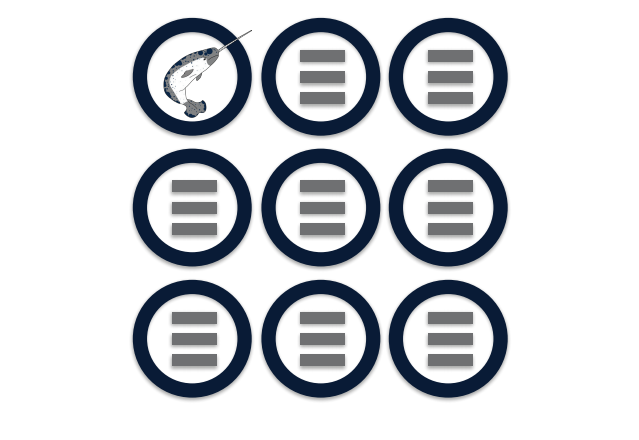 The Narwhal List ranks financially attractive firms by financial velocity. The metric is derived by the amount of funding a firm has raised, divided by the number of years the company has existed. The report also measures the rate at which a company raises and consumes capital to support its growth. The 2019 report looked at the fundraising patterns of over 1,000 private VC-funded Canadian technology product businesses listed on the CB Insights’ database as of December 31, 2018. It also looked at an equivalent number of companies identified by Crunchbase. This year, 17 new firms have been added to the list, and compared to the year before, Canada almost doubled the number of companies on track to become Unicorns in the near future. This year’s top 10 list comprised four mobile, two AI, and one blockchain companies. Montreal-based Element AI and Toronto-based Hootsuite topped the list, with total funding sitting at $105.7 million and $279.9 million, respectively. North (née Thalmic Labs) moved down to the sixth spot from third last year, and Lightspeed POS, which is readying itself for an IPO, landed the seventh spot, after last year’s second place ranking. The report also includes a second ranking of 10 high-growth healthcare firms in healthcare. BlueRock Therapeutics topped the list again, with $225 million in funding and nearly double the growth rate of any other firm. The list had a strong sector of 25 technology companies that have raised an average $40 million, and two healthcare companies, each averaging $100 million in new capital. Internet and software services beat out the other sectors, with 15 companies placing in the top 50, with healthcare (10), mobile and telecommunications (8), electronics and computer hardware (4) following behind. The remaining 13 companies fit into miscellaneous sectors. Notably, although the number of healthcare companies on the list have traditionally exceeded technology companies over the last three years, the former seems to be on decline, while the latter is steadily on the rise. The average financial velocity in the technology sector also increased from 9.4 to 12.8. But for companies looking to find a place on the Narwhal List, entry is becoming more exclusive, with the minimum financial velocity for entry being 6.7, compared to 4.7 in 2017. Per the report, Canada has yet to produce a Unicorn, which is a private company with a market value over $1 billion USD, since Canada’s Kik Interactive attained Unicorn status in 2015. That three year gap falls well short of the two-to-five a year required to keep pace with comparable jurisdictions, as seen below. Since Kik became a Unicorn in 2015, 19 American companies were founded and became Unicorns. “If Canada’s objective is to create more world-class companies from the tech sector (as envisioned by the federal government, and particularly Innovation, Science and Economic Development Canada), then one step on the road may consist of creating more Unicorns,” the report reads. Thirty-four US-based unicorns have raised an average of $275 million. 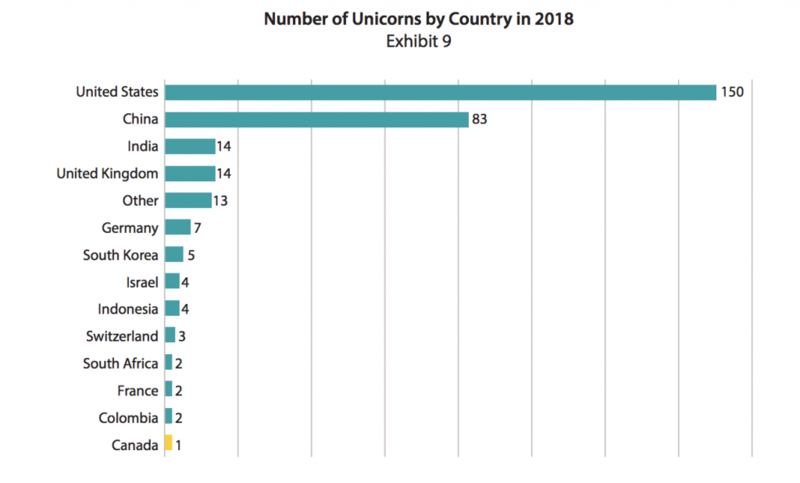 Of those 34, there are 21 US Unicorns with a financial velocity of $10–33 million per year, and Canada has 28 potential Narwhals with a financial velocity in that same range. In fact, this number almost double from last year, and tripled from the previous year. These findings suggest Canada is making slow but steady process to produce more Unicorns. The report concluded the findings point to a sense of cautious optimism in Canada’s technology space, but Canadian firms have significant work ahead in order to compete on a global scale. Image courtesy the Impact Centre.